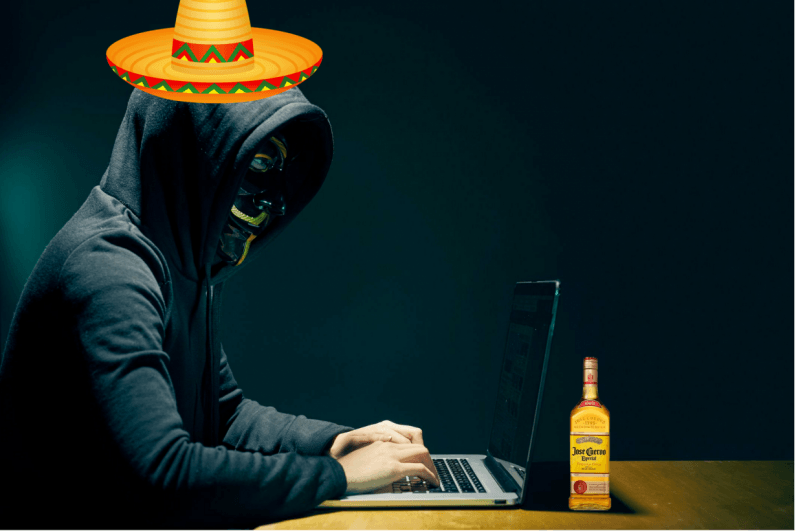 Security researchers at Kaspersky Lab have uncovered a sophisticated cybercrime outfit called Dark Tequila, which targets banking customers in Mexico and other Latin American nations. Kaspersky believes Dark Tequila has been active since 2013, primarily in Mexico. The outfit’s main weapon is an advanced malware program which the Russian security firm described as “unusually sophisticated.” Based on the company’s analysis of the code, it believes the developer is Spanish-speaking and Latin American in origin. At the heart of it, the Dark Tequila malware exists to gather data on its victim — be that banking credentials, or personal or corporate data. As it silently sits on the user’s hard drive, it slurps up credential for services like RackSpace, BitBucket, and DropBox, which can be used further down the line to stage additional attacks. What makes it especially interesting is how it’s delivered to users. According to Kaspersky Lab, the primary method of transmission is spear phishing and infected USB flash drives. The latter is an extremely effective propagation method for several reasons, as people are intrinsically curious; appreciate a freebie; and aren’t sufficiently aware of the risks associated with using untrusted USB flash drives. Once the malware is on the user’s computer, it connects to a remote command-and-control server, and downloads a payload. This only happens if the malware believes it’s on a genuine victim’s computer, and not, for example, in a quarantined analysis environment. The Dark Tequila malware contains a keylogger and network monitoring tool, and crucially, is able to self-propagate. This means that should the victim insert a USB flash drive into their computer, the malware will clone itself, ready to infect a new person. This, incidentally, is how the Stuxnet virus was believed to have spread. In a statement, Dmitry Bestuzhev, Head of the Global Research and Analysis Team at Kaspersky, stressed the dangers posed by Dark Tequila, emphasizing that it has the potential to be used across the world. Kaspersky Lab says its products can “detect and block” Dark Tequila-related malware. The firm also offered some generic, but still useful, advice, including disabling auto-run on USB devices, and avoiding connecting unknown devices and USB sticks to your computer.